Abir Patwardhans art takes its inspiration from Nature in so many ways. 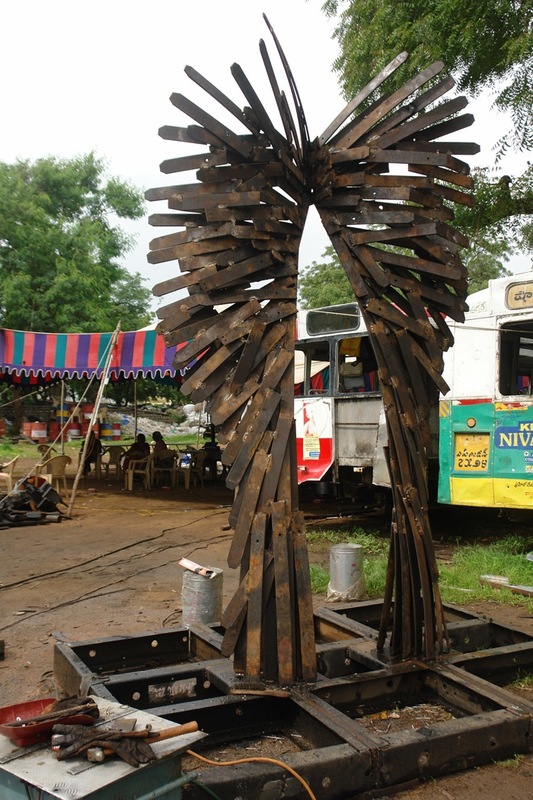 Abir who is an avid animal lover has created stunning sculptures out of metal that celebratethe forms of seeds leaves and plants. 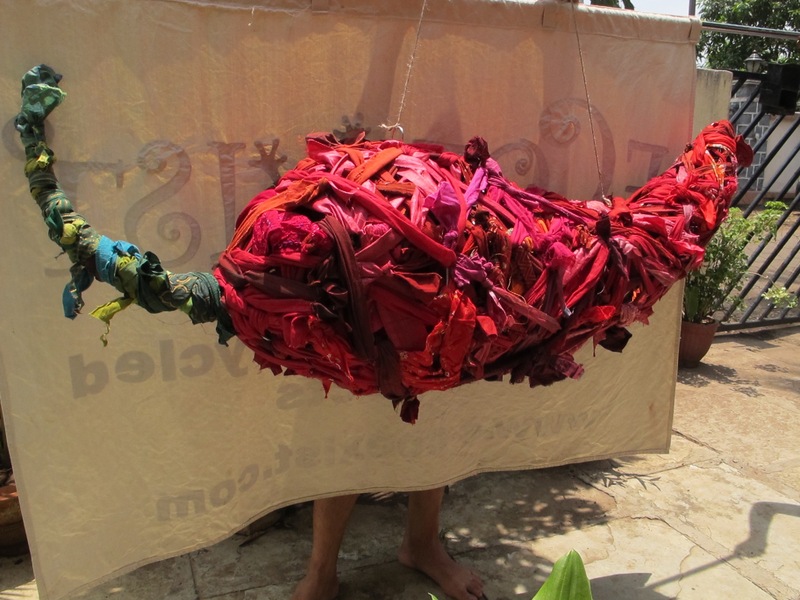 He also works closely with waste materials looking at how materials can be recycled to create art.Abir has been commissioned by Radio Mirchi to create a Mirchi out of waste … come to our event to check it out from 5th to 9th June. “Unlike us and the living world we are a part of, things and objects are immortal. They may become redundant after they have served a particular function or purpose. But they continue to be around us. Their rate of decomposition is very slow compared to living matter. Adapting these objects for a new purpose or function is like giving them a new lease of life. And often, one that adds excitement and a range of alternative possibilities. Not just restricted to art, recycled objects can be incorporated in almost every field today.Paper water medicine electronics and hardware just to name a few. On a more important level, adapting used or discarded objects saves a lot of energy and avoids the build up of garbage and rubbish around us. 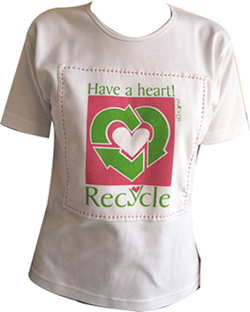 Recycling is a perspective and not just an object or an activity.